Verizon plans special event next week - iPhone time!? NEW YORK (CNNMoney) -- Verizon CEO Ivan Seidenberg's Consumer Electronics Show keynote Thursday was a snoozathon, but the company sent an electric jolt through the tech world on Friday with a bright-red invitation to a press event on Tuesday. Scheduled for early January 11 -- 1/11/11 at 11 a.m., to be precise -- in New York City, the event looks likely to be Verizon's long-awaited, widely leaked but never officially announced unveiling of a Verizon iPhone. The Wall Street Journal confirmed that late Friday, citing a source "familiar with the matter." Numerous media outlets, including Fortune, have confirmed with sources that the iPhone would come to Verizon's network in early 2011, but so far Apple (AAPL, Fortune 500) and Verizon (VZ, Fortune 500) have stayed mum about their launch plans and timing. The move will end AT&T's four-year run as the iPhone's exclusive carrier. 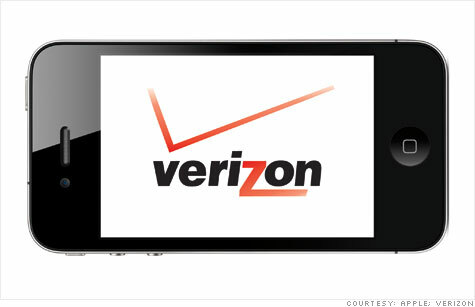 Apple and Verizon have gradually deepened their relationship over the past year and set the stage for an iPhone rollout. In October, Verizon began selling Apple's iPads in its retail stores and offering a wireless plan to let customers use the device on its own network. So is this doomsday for AT&T (T, Fortune 500), which is infamous for its high levels of customer dissatisfaction, especially among iPhone owners? Not quite. Don't miss our analysis of why -- counter to the conventional wisdom -- this won't be a disaster for AT&T.